The Ambassador hotel was awarded with the TripAdvisor® quality certificate. 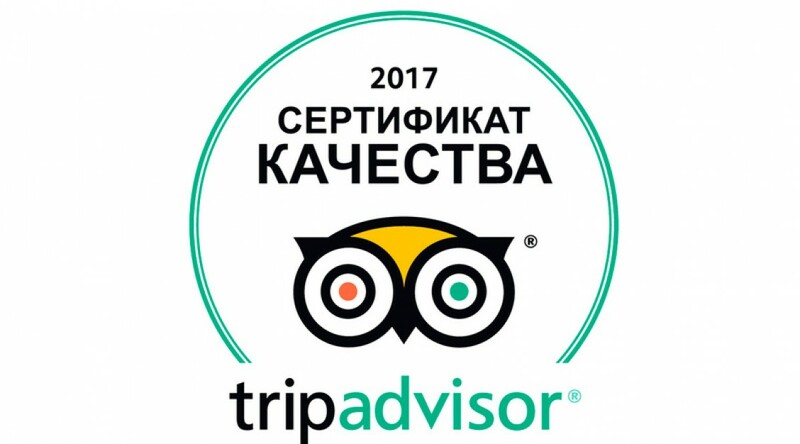 This award is given for compliance with the highest standards of service in the hotel business, and only to those companies that received excellent traveler reviews on TripAdvisor's site in the previous year. Quality certificates go to hotels, restaurants and attractions from around the world, who constantly take care of customers receiving high-quality services. We thank our guests for their kind attention and support. We will continue to work hard to provide unsurpassed service in the future!